What sort of book would you end up with if you had spent the last few years analysing your life? One like this? After her diagnosis of Asperger’s Syndrome at 22 years old, Alis was empowered to learn more about this complicated condition. She devoted the next stage of her life to making sense of the troublesome thoughts, feelings and experiences associated with autism. This book is a collection of all the insight she has since learned, as well as the important strategies she has incorporated to make Life more manageable. What sort of book would you end up with if you had spent the last few years analysing your life? 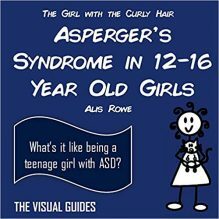 After her diagnosis of Asperger’s Syndrome at 22 years old, Alis was empowered to learn more about this complicated condition. She devoted the next stage of her life to making sense of the troublesome thoughts, feelings and experiences associated with autism. This book is a collection of all the insight she has since learned, as well as the important strategies she has incorporated to make Life more manageable. Alis is now a successful entrepreneur and runs an amazing organisation that supports other autistic people. She is able to do this because of the things she has written about in this book. 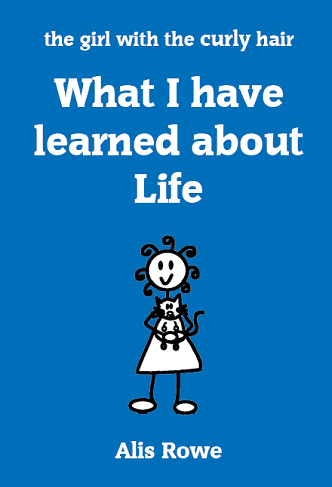 Alis hopes her book will support you to have a more fulfilling and enjoyable life too. I have read all of Alis Rowe’s books and have enjoyed them all, but this is magnificent! I loved the clear layout, with great summaries, relatable examples, use of colour etc and found it not only really easy to read but very insightful. If you are autistic yourself, have an autistic child or work with someone with autism, this will help you to understand more and learn strategies to help. It really is a “How to do just about anything ” type of book and I know I will refer to it for years to come. Thank you, Alis Rowe! I love Alis’ work. Her writing is perceptive and easy to relate to – she writes everything that I have never had time to express properly, because I have been so busy trying to ‘be normal’! If I had been able to read this as a teenager in the 1990s, I would have had a very different experience growing up. Some of what Alis writes can be hard to read as it brings back some painful memories of feeling so alone and isolated, but it is also so reassuring to find someone who actually understands and has had such similar experiences. It would be fantastic if more people understood what it feels like to have a different way of thinking, especially those involved in health and education – this book should be compulsory reading! Thank you, Alis, for making such a difference.